sailboat. 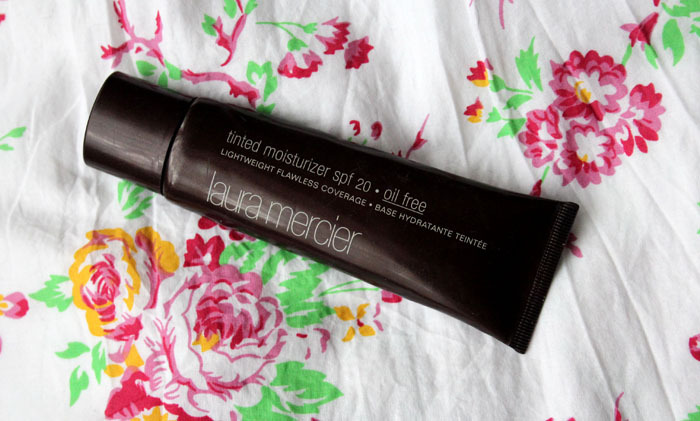 : Review: Laura Mercier Oil Free Tinted Moisturiser. 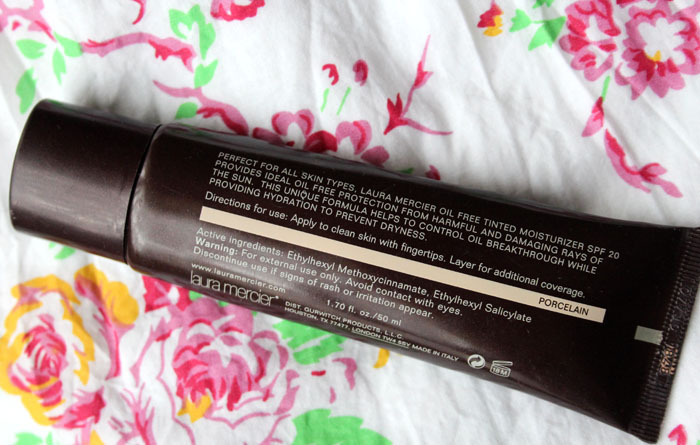 Review: Laura Mercier Oil Free Tinted Moisturiser. The Laura Mercier Tinted Moisturiser is a product that gets raved about all the time in the bloggersphere and for good reason, I think this is worth every penny! For £33 you get 50ml which is definitely pricey but you do get more product than a standard 30ml bottle of foundation. I currently have the oil free version, but I think once I've used it up I'll be tempted to try the regular version, just to see how it compares. It's nice that whatever your skin type, you should be able to find a version of this product that will suit you. I have dry skin and the oil free version doesn't highlight any particularly dry areas on my face, I do still use a hydrating moisturiser underneath, but it leaves quite a matte finish. I'd say that if you have normal/oily skin this would work well for you, leaving a slight dewy finish. For a tinted moisturiser, I'm very impressed with the coverage this gives. I'd liken it slightly more to a light coverage foundation rather than a super sheer tint; it's very versatile in that you can wear it sheer or you can build it up to gain a little more coverage in the areas you need to. In the above picture I'm just wearing the tinted moisturiser with no concealer and you can see a few blemishes & my awful dark circles, but my skin tone has been evened out quite nicely. Importantly, it never feels heavy on the skin, even when I wore this in the height of summer (those few days the UK actually saw the sunshine!) it still felt comfortable. I have the lightest shade, porcelain, and it matches my fair NC15 skin pretty well. It doesn't seem to lean too pink or too yellow, it's pretty neutral so should suit the majority of fair skin tones, but I would recommend trying to get a sample before if possible! It has SPF 20, which I think is such a good thing especially as this is a product I would more associate with wearing during the warmer months. I would always recommend wearing a dedicated SPF underneath your foundation all year round, but I still like when base make up products have added SPF. This is definitely a product I reach for more in the warmer months but I have worn and loved it a lot this Autumn too. It's one of those reliable products, I know it easily lasts all day on my skin so whenever I feel like I only need a touch of coverage, this is the base product I opt for every time. 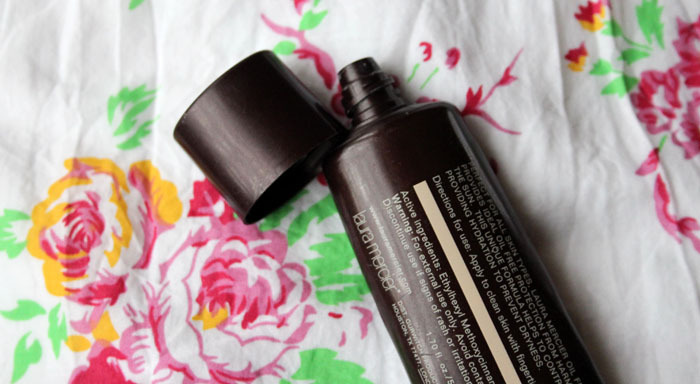 Have you ever tried the Laura Mercier Tinted Moisturiser? What is your all time favourite foundation? I've asked for this for Christmas. I did however ask Alex. Don't think I'm getting it somehow. Great review- I love the Laura Mercier tinted moisturiser for good skin days and it definitely has more coverage than your average TM. If I ever indulge on ebay shopping after Christmas, this is on top of my wishlist :) Thanks for the detailed review! it looks great on you!! I love how natural it looks, very light and subtle. It sounds like a really great product, light with a bit of coverage. If I ever wear makeup on my face I'd probably want something like this! I love the products from Laura Mercier, especially Laura Mercier Tinted Moisturizer. It's the best product for my dry facial skin. Five Things & Five Blogs I Love Friday #40! Review: L'Occitane Marvellous Flowers Hand Cream. Pandora 2012 A/W Christmas Collection. What I Wore: An Autumnal Walk. Japonesque Safari Chic Brush Set. Review: Illamasqua Tweak Powder Blush. 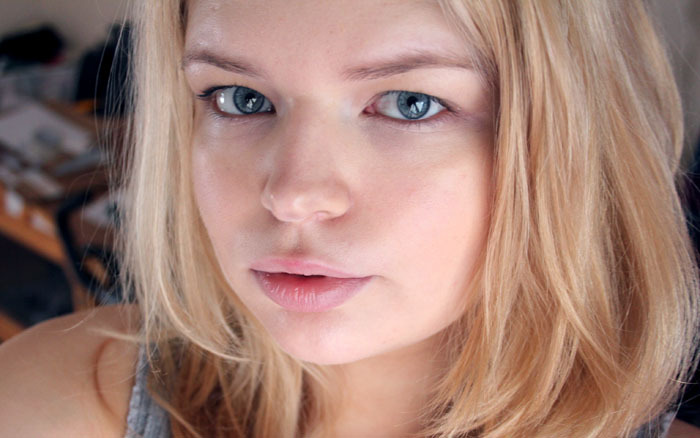 Review: Liz Earle Signature Foundation. Review L'Occitane Pivoine Délicate Lipstick.